It is widely accepted that interest in virgin olive oil, and especially extra virgin olive oil, is growing, and for good reason. A culture of health and eating well, along with the rise of attention given to gastronomy in the media has brought virgin olive oil into the limelight. Olive oil is making its way into consumer households, most notably in countries where it is not produced, and where olive oil is not traditionally consumed. 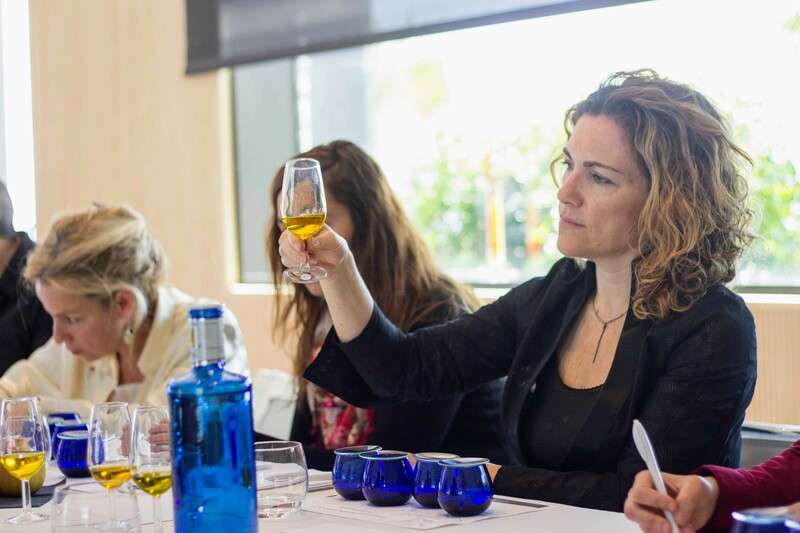 The Olive Oil School of Spain launches two Olive Oil Sommelier Courses to be held in Valencia, Spain, by the end of October 2017. “We are passionate about creating greater awareness of the benefits of extra virgin olive oil throughout its value chain. Our programs are designed to help growers, professionals and everyday users of quality olive oil learn more about this important contribution to gastronomy and health,” says Susana Romera, Technical Director of the Olive Oil School of Spain. The Olive Oil School of Spain won the First prize in the AEMO National Spanish Competition in 2014 for promoting olive culture. Olive Oil Sommelier Course. Level 1. Olive Oil Sommelier Course. Level 2.
talian police said they have busted a crime ring exporting fake extra virgin olive oil to the United States, highlighting the mafia’s infiltration of Italy’s famed agriculture and food business. Twelve people with links to the ‘Ndrangheta, the organized crime group based in the southern Calabria region, were arrested on Tuesday on a series of charges including mafia association and fraud, police said in a statement. The gang shipped cheap olive pomace oil to the U.S. where it was re-labeled as the more expensive “extra virgin” variety, prized for its rich taste and health benefits, and distributed as such to retail stores in New Jersey, they said. Italian crime syndicates earned an estimated 16 billion euros ($16.85 billion) in 2015 through illegal activities in the agriculture sector, up from 15 billions in 2014, according to Italy’s agricultural association, Coldiretti. Besides counterfeiting products, gangs make money seizing control of farmland and firms, fixing prices, controlling distribution and through labor exploitation, studies say. In 2015, crime groups forced more than 100,000 Italians and migrants to work long hours for little pay in fields across the country, according to a report by Italian General Confederation of Labor union (CGIL). Police said they found no evidence of labor exploitation linked to the fake olive oil scheme, which saw at least ten tonnes of low quality oil, in some cases past sell-by date, sent to the United States. Pomace oil is extracted from olive pulp left-over from the production of higher quality oils using chemical solvents. A restaurant in the heart of Manhattan, where the Tuscan tradition can be tasted and breathed, surrounded by a modern and comfortable environment. The new generation at the head of Gastronomia Toscana in the last year, after a thorough market analysis, developed a strong brand strategy and started an action of rebranding, which involved logo, packs, and corporate website. Gastronomia Toscana, which has been on the market of fresh products for 30 years, emphasizes its role as a corporate brand, after a long analysis of the market, with the signature on all product brands and a major restyling, from the logo to packaging, to meet the needs expressed by consumers who are increasingly attentive and sensitive. Gastronomia Toscana was born in 1985 in Prato thanks to the intuition the three brothers Franco, Marcello and Giovanni Tempestini had at that time. It is present on the market with its historic line of appetizers, sauces and ready first courses with Gastronomia Toscana brand; with the line of first courses and gourmet sauces with ‘Piccoli Lussi Quotidiani (Small Daily Luxuries)’ brand, realised in collaboration with chef Gianfranco Visscher; with the line of ready meals for coffee bars with ‘Siamo pronti (We are ready)’ brand. In the last few years ‘Mi garba (I like it)’ brand was added. The last one is the great challenge on the US market. Bad harvests in Europe and fake olive oil raise the question, are you getting the real deal? Olive oil is a staple ingredient in many Mediterranean dishes, yet the source for the highest quality olive oil these days may be thousands of miles from Europe and the Middle East. The countries best known for olive oil — Italy, Spain and Greece — have had bad harvests this year from unruly weather, Bloomberg recently reported, and the prices for olive oil have jumped in response. Meanwhile, California has been steadily increasing its olive oil manufacturing, and implemented strict standards for the oil. “More and more people are aware of the high standards we have and embracing locally produced products,” said Patricia Darragh, executive director of the California Olive Oil Council based in Berkeley, a trade association with a seal certification for local farmers. More domestic players are joining the U.S. olive oil production business, which has seen a 9.2% increase in revenue over the past five years, and demand and revenue are expected to continue to rise through 2021, though at a slower pace, according to research firm IBISWorld. California alone makes up more than 99% of U.S. olive oil production, according to the California Olive Oil Council. Good olive oil is usually pretty expensive (but not always). If you want to get the freshest bang for your buck, now is a good time to buy a new bottle. Your oil won’t just taste fresh-it’ll taste amazing. The sooner you buy olive oil after it’s been pressed, the fresher that oil will taste-not just delicious, but filled with all the distinctive flavors of those just-picked olives. More specifically, food site Zester Daily says that “olive oil season” is between October and December, but late winter is still a good time to buy. If you’re buying an expensive bottle, we’ve told you how to make sure you’re getting the real deal. Beyond that, Epicurious also offers their own specific recommendations below. Are you running around in last season’s olive oil? It could mean that your food doesn’t taste as good as it should. While we might not think of pantry staples like olive oil as seasonal, that’s exactly what it is: Olives are usually harvested in early- to mid-fall, and bottled a few weeks after that. Which means that if you’re a fan of spanking-fresh olive oil, early winter is exactly the right time to invest in a new bottle. Check out more about why right now is the perfect time to change your oil, plus four spanking-new bottles (aka “olio nuovo”) to score this season for your own kitchen. You might just want to pick up a few to share as holiday gifts for your favorite olive-oil-slinging home cooks, too. Your oil won’t just taste fresh—it’ll taste amazing. The sooner you buy olive oil after it’s been pressed, the fresher that oil will taste—not just delicious, but filled with all the distinctive flavors of those just-picked olives. If you love peppery olive oil, you’ll be happy. Many new-crop olive oils also have a grassy, peppery note that fades after a few months in the bottle, so if you’re a fan of that zingy taste, you’ll want to score some of that stuff. Your bottle will live longer. Buying the freshest olive oil is like rooting through the stack of eggs in the supermarket to find the one with the latest expiration date. You’ll be maximizing the shelf life of your bottle, since the sooner you buy it after pressing, the longer you’ll be able to enjoy it. Seven New York businesses are being sued for claims made about olive oil. You’d better watch what you say about olive oil — it could send you on a slippery slope to the courtroom. Seven New York olive oil retailers are being sued by trade group the North American Olive Oil Association (NAOOA) after allegedly making claims the olive oil they sell is better than some other olive oils. Park Slope’s O Live Brooklyn is being sued, along with five Long Island outlets of The Crushed Olive and New York retailer D’Avolio, which has four outlets across the state, court documents show. The NAOOA represents a number of marketers, packagers and importers of olive oil, many of whom have products stocked in supermarkets. At the center of the case: the question of whether some olive oils are better for you than others. The NAOOA has demanded the case go to trial to be heard by a jury. “We look forward to proving the falsehood of inaccurate and self-serving allegations made by the NAOOA in court,” Veronica Foods said. Gabriel Dorado Pérez, a molecular biology and biochemistry professor and the researcher responsible of the investigation group AGR-248 (Agri-food Biotechnology), as well as the Andalusian Plan of Investigation, Development and Innovation, gave his insight on the process: “Surely, considering the fact that virgin olive oil is the juice of a fruit, it contains water drops in microscopic quantity in which DNA dissolves,” he explained. The crowd facing olive oil sommelier Nicola Di Noia was well-behaved but not always attentive. Some began to tune out when he started talking about the importance of buying extra virgin olive oil at a specialty shop and not to skimp by buying any old €3 bottle at the supermarket. Others were already busy with the colouring books and pencils laid out on the long tables in the conference room of the luxurious Rome Cavalieri Waldorf Astoria. But Di Noia was unfazed. “Extra virgin olive oil is a fruit juice. It should be a little bitter. Don’t be afraid if it’s bitter,” he said. An hour in, some restlessness was understandable. They were just children. Forty of them, aged four to nine, who had been brought by their parents – about a third of whom were also trained sommeliers, some of olive oil and some of wine – to a seminar to teach children about extra virgin olive oil. The event was not a typical rite of passage for Italian youth. But it did point to the importance many Italians place on maintaining the country’s cultural and culinary heritage, a subject Di Noia said is often studied and appreciated more by tourists from Germany, Japan, and France than Italians. Italian olive oil brands Buonamici, La Ranocchiaia, SPO and Il Cavallino are integrating NFC tags into their product lines to enable authentication and enhance consumer engagement, by delivering product information and other relevant content to customers’ smartphones. The platform will be enabled through iOlive’s mobile app, which catalogues data on more than 150 of Tuscany’s extra virgin olive oils, using NFC SpeedTap tags from Thinfilm. These thin, flexible devices integrate with product packaging and can be read with the tap of an NFC-enabled smartphone. Each tag is uniquely identifiable and is virtually impossible to clone, Thinfilm says. “The olive oil industry is very similar to the wine industry in that each has a rich heritage that is centuries old,” says iOlive founder Pietro Barachini. “But, the wine industry has done a much better job of educating customers on how to evaluate, buy and enjoy wine. A Greek chef has been awarded the first prize for 2017 by the world renowned Italian guide for olive oil “FLOS OLEI”. The Greek restaurant of “Kapsaliana Village Hotel”, where winner Vasilis Leonidou is head chef, also won the award for best restaurant by “FLOS OLEI”. The guide, which presents the top producers from over 40 countries worldwide, recognised Leonidou’s contribution to the promotion of the “culture” of extra virgin olive oil. Owner of “Kapsaliana Village Hotel” Myron Toupogiannis stated the award was a special accolade for the hotel and the chef as it recognises their efforts in promoting the olive “culture” throughout the world. Leonidou said he used different olive oil for each recipe he created. 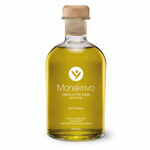 “We use 45 types of olive oils of the highest quality”, Leonidou said. The award ceremony is scheduled to take place in Rome in December. MELENDUGNO, Italy In the name of European energy security, a private guard wearing a navy blue uniform, aviator sunglasses and a baseball cap walks around a grove of olive trees in southern Italy. The 231 trees, surrounded by dry-stone walls on a dusty plain near the Adriatic coast, stand in the way of a $45 billion pipeline designed to bring gas from central Asia and help wean the European Union off its dependence on Russian energy. Local authorities want the pipeline re-routed away from the prized grove, which includes trees thought to be more than 400 years old, but developers have Rome’s approval to proceed, on condition they are transplanted while pipes are laid and buried. Wary of protests, the pipeline consortium, which includes Britain’s BP (BP.L), Azeri state energy company SOCAR and Italian gas company Snam (SRG.MI), has hired 24-hour security. In reality, work on the Italian side of the Trans Adriatic Pipeline (TAP) cannot proceed without local consent, threatening to delay a project that is meant within four years to carry the equivalent of 10 percent of Europe’s Russian energy imports. On the streets of Midtown Manhattan, almost everyone we spoke to said they’re actually aware that much of the food they put in their bodies, may not be what it’s advertised to be. Registered dietician Lindsay Rosen was pleasantly surprised to hear that so many New Yorkers know about the fraudulent foods that are prevalent worldwide. She recommends that you do your homework, ask questions in your market, and become educated about the food you buy and eat. And what are the foods that are most fraudulent? According to a new book on food fraud by Larry Olmsted called “Real Food, Fake Food,” fish, coffee, beef, and olive oil are just some of many foods that are often mislabeled or replaced by a cheaper or completely different substance before being sold or bottled. The IOC Executive Secretariat is seeking a young university graduate for a three-month, paid traineeship beginning on 1 October 2016 in the field of event planning and events communication. This will be an opportunity to work in a multi-cultural, multi-lingual and multi-ethnic environment and to put into practice what you have learned during your studies and to participate in the organisation of an International Olive Day. As an intergovernmental commodity organisation and international forum for the olive oil and table olive producing nations, the International Olive Council (IOC) carries out numerous activities to promote olive products. Three months (non-renewable). The scheduled starting date is 1 October 2016. 5 September 2016 at 14.30 hours (Madrid time) (deadline for the receipt of dossiers by post or e-mail). A formal cover letter must be submitted together with the completed application form and supporting documents. There is something important for everyone involved in the olive oil industry at The Olive Oil Conference to be held in Rosemont near Chicago starting on 18th July. 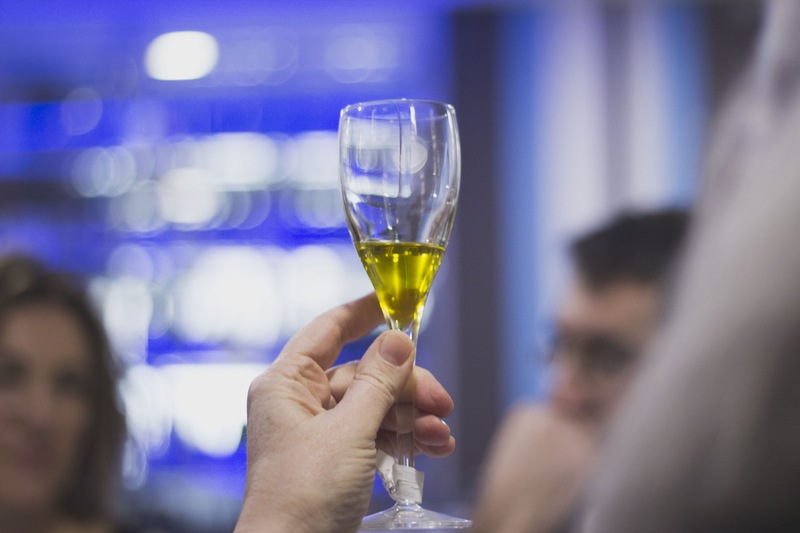 For tasters, buyers, traders, retailers and consumers there are sessions on practical tasting to increase sales, get to know oils from different regions and get the best value for your money. Presented by Simon Field, founder of Extra Virgin Olive Oil Savantes, Hayley Stevens, North American Tasting Championship 2015 and Eryn Balch, Executive Vice President of the North American Olive Oil Association (NAOOA) these presentations will enhance your confidence. Everyone will be able to test their tasting skill in the North American Taster’s Challenge and possibly be recognised as the Champion, a member of The Register of Savantes or an Associate Savante. For producers and all involved in the supply chain the session on Megatrends by leading Spanish producer Rafael Muela of Mueloliva will help plan for the future. Publicists, salespeople, promoters and everyone else will learn from Patty Lamberti when she talks about using New and Digital Media to get your message into thepublic domain. Foodies, food bloggers, chefs and all those in food service will love the demonstrations from the eclectic New York chef and restauranteur Suvir Saran and the innovative English chef from Winchester, Olly Rouse. The incredible range of current and future uses for olive oil will be explored by Rick Cummisford of Columbus Vegetable oils, a must for all those in manufacturing and foodservice. And everyone will plan to increase the per capita consumption of olive oil through the concept of The Olive Oil City. A cohesive, targeted and measured activity where all those involved in the olive oil industry will profit from greater consumption. It is as French as baguette, and as emblematic of the country’s southern Provence region as lavender fields and cicadas. But a dispute over the “official” recipe for the region’s famed traditional soap, “savon de Marseille“, has producers in a froth. But a dispute over how “true Marseille soap” should be made has the producers themselves at each others’ throats. bioavailable, extensively metabolised and rapidly eliminated, contributing to a decrease of plasma oxidised-LDL. Therefore, biscuits can be considered an efficient vehicle to deliver HT,” the Spanish researchers wrote in the journal Food Chemistry. Olive oil phenol HT has been proven in numerous studies to positively influence cardiovascular health by protecting LDL particles from oxidative damage. In 2011 this evidence was given the stamp of approval by the European Food Safety Authority (EFSA) when olive oil polyphenols was awarded a rare health claim. This captured the interest of the food and ingredients industry and since then the market for HT has been hot. However, the scope of the EFSA claim is limited to the application of HT and its derivatives in the olive oil matrix and relates to ‘chronic consumption’. “Any claim with hydroxytyrosol in a different food matrix requires a study to assess the capacity of hydroxytyrosol to protect LDL against oxidation,” lead researcher Raquel Mateos told NutraIngredients. This research gap coupled with the restriction on how the EFSA claim could be applied prompted Spanish biscuit and pastries manufacturer Adam Foods SL to approach the Institute of Food Science, Technology and Nutrition (ICTAN-CSIC) to evaluate the bioavailability of HT in biscuits. From the researchers’ point of view, the driver for the study was to help encourage uptake of the phenol by facilitating its inclusion in an increased range of products. “Biscuits are widely consumed by all population groups, hence being an interesting food option for enrichment with bioactive ingredients to deliver healthy compounds to consumers. Therefore this study was aimed at assessing the absorption and metabolism of HT, contained in biscuits, in volunteers,” the researchers said.